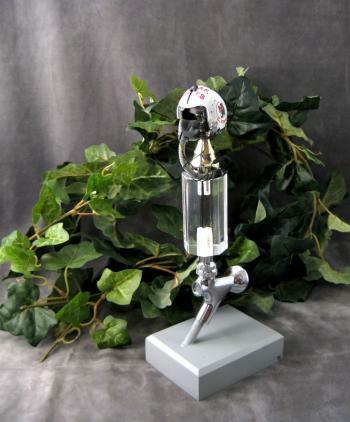 Miniature pilot helmnet on acrylic cylinder [BRTP-001] - $129.95 : Metalcraft by Blair - military gifts and memoribilia. Choose the helmet of yur choice from our miniature helmet section -- please keep in mind that helmets are priced in the white color mode and with decals of squadron of choice -- if colored helmet is chosen you must add $20.00 for the painting of the helmet. All items are priced as shown with the item attached as shown.